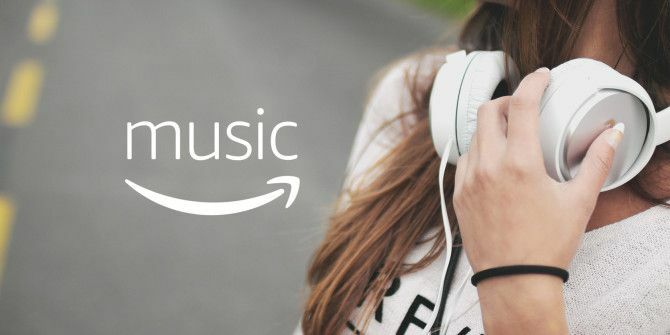 You have several music streaming services to choose from, but if you’re ingrained in Amazon’s ecosystem, it makes sense to try Amazon Music Unlimited. Unfortunately, the full-price subscription may be tough to justify. If you’re a college or university student (you must verify enrollment), you can get Music Unlimited at $5/month, which is half price. This doesn’t require that you have Amazon Prime either! Check out the Music Unlimited Student page for more details. If you know any others who are interested in using the service, you can save a lot of money by setting up an Amazon Music Unlimited Family Plan. Amazon lets you bring up to six family members on a family plan for $15/month. Compared to paying $10/month each, this is a great savings. Most people who have an Amazon Echo use it for playing music. If you fall into this camp, you might consider the Echo Plan for Amazon Music Unlimited, which gives you all the benefits of Amazon Music Unlimited on a single Echo device at a smaller price. That means you can’t use it on your computer or phone, but for only $4/month, it’s a good deal if you only need music on your Echo. It's extremely cool that Amazon offers an Echo-only unlimited music plan for only $3.99/month, and it's proving to be pretty dang frustrating when I happen to not be within shouting distance of my Echo. This isn’t a long-term solution, but we’ll mention it in case you weren’t aware. Amazon Music Unlimited offers a 30-day free trial that lets you evaluate the service. You can sign up by visiting the Amazon Music Unlimited page. If you finish the trial and decide you don’t like the service, you’ve saved yourself a lot of money! But if you do, see our guide to managing your Amazon Music playlists How to Manage Your Amazon Music Playlists How to Manage Your Amazon Music Playlists This article is all about Amazon Music playlists. We'll show you how to create one, add songs to it, and share it on social media. Read More . Explore more about: Amazon Music Unlimited, . The 10 Best Ways to Read Comics Online for FreeThe Top 10 Most Popular YouTube Channels: Should You Subscribe? I am a 41 year old mom of three and am in my first semester of college. Saving money while balancing school and family is a huge priority for me and you just saved me $3/mo by telling us about Amazon's student discount for college students. Thank you! !